The tendency of wooing voters using handouts has been a contributing factor to the election of wrong leaders into positions of power during general elections in Malawi. This is because voters have been motivated by monetary and material rewards rather than the candidate’s sound policies and manifesto. Handouts have also been responsible for shutting out financially challenged candidates in favour of ostentatious and extravagant candidates willing to throw their money around. 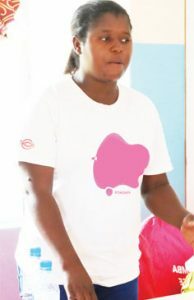 Leah Chipondeni, a female shadow councillor in Nsanje, was one of financially challenged candidates that faced huddles to woo voters because she did not have enough money and resources for handouts. “I am a female shadow councillor in Nsanje and was competing against two male councillors who had financial resources; so, I decided to give up because I did not have resources for handouts,” Chipondeni, who contested during the May 2014 Local Government elections and lost, says. Banning handouts is one of the issues addressed in the Political Parties Act, which came into operation on December 1 2018. Chipondeni believes the ban on handouts will encourage more female candidates to join the race, now that the playfield is levelled. “I would like to encourage fellow women who were discouraged because they didn’t have resources for handouts to join the race,” she says. Another candidate, Rose Makiyi, who is the only sitting female councillor in Nsanje and deputy chairperson for the council, states that she struggled during primary elections because her competitor was throwing around handouts to the voters. “During campaign for primary elections, I did not have money to give handouts to voters. I focused on issue-based campaign. My competitor had financial resources. Despite having financial challenges, people still voted for me and I won the primary elections. “I would like to thank Women’s Legal Resource Centre [Wolrec] for the Women Empowered for Leadership Programme. I also thank people in my area for voting for me during primary elections,” she says. Chipondeni and Makiyi revealed their struggles during the annual review meeting for the programme that took place in Nsanje recently when, among other things, women shared ideas on how to overcome some of the challenges they face during elections. Makiyi says, with handouts banned, time is ripe for women to have meaningful participation in politics by focusing on issue-based campaign. Representatives of various political parties such as United Democratic Front, Malawi Congress Party, Alliance for Democracy, Peoples Party and Democratic Progressive Party (DPP) also pledged to support all female aspiring councillors in the district. All political party representatives urged the aspiring female councillors to ensure that they have mastered well the art of public speaking in order to appeal to voters. Some of the promises the parties have made to the aspiring female councillors are the provision of campaign materials, accompanying them to campaign rallies, encouraging spouses to support candidates and unifying and campaign teams. Nsanje has one female sitting councillor out of 10 seats in the local council. Some of the women contesting for the position of councillor are Anne Bankamu, Prisca Matapila, Violet Tembo, Mary Ross, Mary Pensulo, Esnart Siment, Mafulesi Sinalo, Rose Jenala, Melina Joe, Mary Chifudzeni, Mwandimvera Kabwemba, Edna Forty, Fidah Bizeck, Hanna Chiwambala, Elita Kampala, Trizar Mandevana, Edith Soza, Irene Mchiza, Mary Paul, Regina Tchapo, Cathreen Baxter, Ruth Simbi and Mary Yakobe. Wolrec, with financial support from Hivos, is implementing the Women Empowered for Leadership Programme in three districts of Nsanje, Zomba and Blantyre. Wolrec Project Officer, Irene Ntonga, has since urged all female aspiring councillors to develop manifestos. “A manifesto is a very important tool for convincing the electorate to vote for you. This will help you to ably articulate issues that affect voters in your ward. Malawi is changing, people want things that will change their lives and not just handouts that are short-lived,” Ntonga said. She tipped aspiring female councillors to have a campaign team that will promote their visibility in the wards. “There are various places where people talk about politics. Therefore, put people in strategic places where they will campaign for you,” Ntonga explains. The programme intends to benefit at least 336 women as direct beneficiaries as well as at least 1,350 women and men as indirect beneficiaries. It was designed on the premise that women, just like other citizens, have the right to vie for leadership positions and also out of recognition that there has been very low representation of women across the board. “Although the number of women running for leadership positions is extremely low, women continue to be active at the grassroots level supporting campaigns and attending political meetings in significant numbers. However, this does not automatically translate into leadership gains,” Ntonga says. Apart from the communities, Wolrec is also working with political parties in the country to ensure that women join the 2019 Local Government elections. The project is, among other things, aimed at building the capacity of women aspirants by imparting leadership skills for effective representation at local and national levels, lobbying for adoption of affirmative action in promoting women’s leadership within political parties and raising public awareness on women’s participation rights in leadership. Ninety women fora have been established in the three districts. Blantyre has a total of 30 fora, Nsanje has 29 while Zomba has 31.